Make a ripple, change the world. The motto for the SEVENDAYS organization emphasized that small positive actions could make a big difference. April 10-16 the group worked to emphasize Love, Discovery, Others, Connections, Individuals, Going out to make change and moving Onward. The group sponsored a contest to design buttons for each day. Senior Syed Hussain serves on the Seven Days Youth Board and told his sister, junior Syeda Mahnoor, about the competition. As an award-winning yearbook designer, he knew she had the talent and skills to create something special. Mahnoor, received a plaque and her button was mass produced and distributed around the Kansas City Metropolitan area. She also won $250. 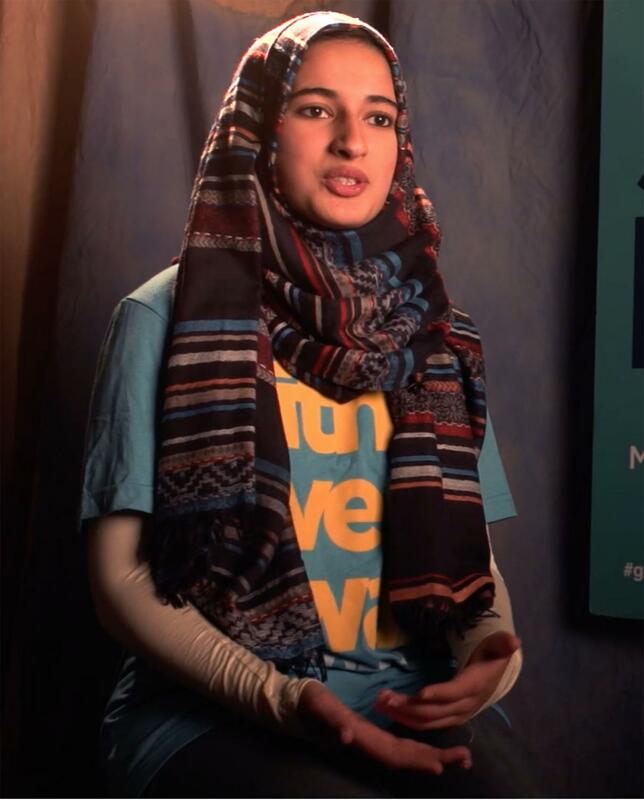 View a video of Mahnoor on the SEVENDAYS website where she explains how she came to design the button with five multi-colored hands for the them of Others.